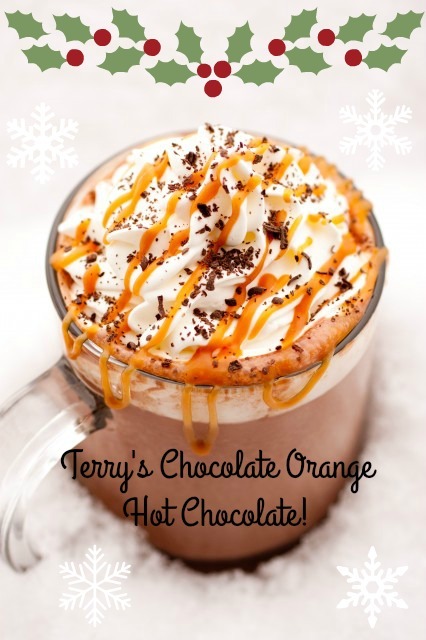 Christmas isn't Christmas without a festive hot chocolate or two so for today's post I'm going to share with you how I make a festive Terry's chocolate orange hot chocolate! First off you need to measure how many mugs of hot chocolate you need. Next you will need to pour this amount of milk in a saucepan and then whisk in 3 teaspoons of coco powder into the milk and stir until it starts to simmer. Finally slowly add in 4-5 pieces of Terry’s Chocolate Orange pieces and continue to stir but please make sure that you DO NOT BRING TO THE BOIL as the milk will burn and ruin the hot chocolate. Once the chocolate is melted completely, pour the mixture into your mugs and decorate with marshmallows or a chocolate flake. If you're feeling extra creative then why not serve the hot chocolate in a hollow orange. There you have it, a festive hot chocolate, ENJOY!